Killing cancer cells is all in a day’s work for THC and CBD. Both cannabinoids, using different mechanisms, induce cancer cell death through apoptosis. Apoptosis is the mechanism that makes cannabinoids a fearsome foe of malignant tumors. It is defined as “programmed cell death” because it’s the end of the life cycle for all healthy cells. 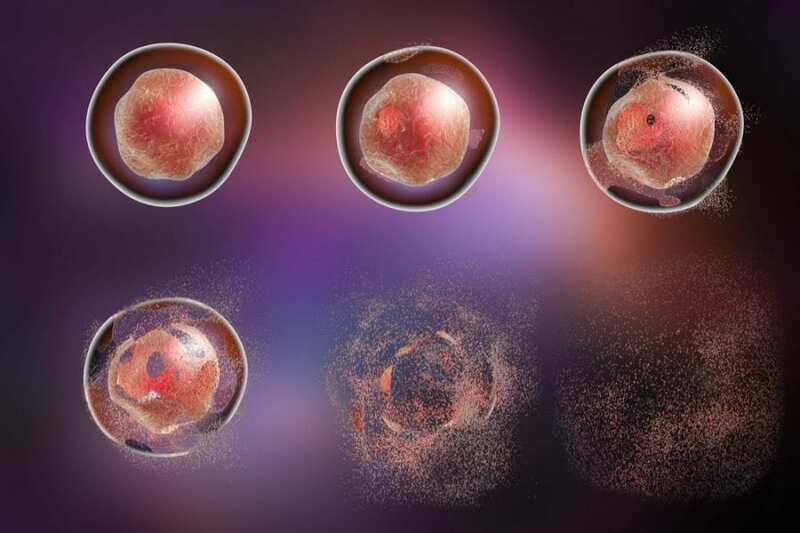 When everything in the body functions as it should, and no outside factors influence cell development, cells naturally expire through apoptosis. You can think of it as the body’s way of clearing out the old, worn-out stuff before it becomes an unsightly mess. And this same process is the mechanism through which cannabis fights cancer. By harnessing the power of cells to self-destruct, cannabinoids have the remarkable ability to de-program cancerous cells and regain control of their apoptosis abilities. 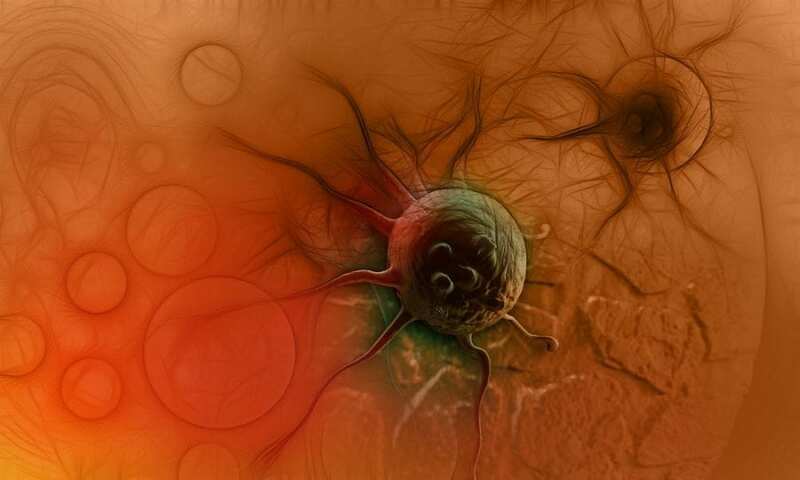 Cancer cells don’t function the way healthy cells do. Instead of self-destructing at the end of the life cycle, or when dysfunction sets in, cancer effectively switches off a cell’s ability to naturally expire. This is why they pile up on top of each other and create a non-functioning mass of flesh, called a tumor. It’s easier to understand apoptosis in the right context. It’s a way of causing cell death, but it isn’t the only way. The word itself comes from ancient Greek word “ἀπόπτωσις” and translates, roughly, to “falling off.” The benign-sounding origins reflect the very natural process that apoptosis is. Healthy adults lose between 50 and 70 billion cells a day from apoptosis. Once cells have lived their life and served their function, they die off. The purpose of this is to make room for new cells to take over the hard work of maintaining the body’s health. Two of the main active ingredients in cannabis — THC and CBD — can lead to apoptosis in cancer cells, but they do it in different ways. THC functions like a seek-and-destroy missile. By the way it reacts with the body’s endocannabinoid system, it directly triggers apoptosis in cancer cells. And only cancer cells. The remarkable thing about THC is that it can pinpoint which cells are cancerous and which are healthy. So when THC is absorbed by the body, it sends out signals for cancerous cells to kill themselves — and they listen! CBD elevates levels of specialized protein enzymes called capases in cancer cells. These proteins are key players in a cell’s ability to undergo apoptosis. So when CBD is introduced to a cell, the body’s natural reaction is to increase the levels of capases. The result is a more robust apoptosis system. CBD also boosts the level of oxygen-rich elements within the body, which functions to kill cancer. 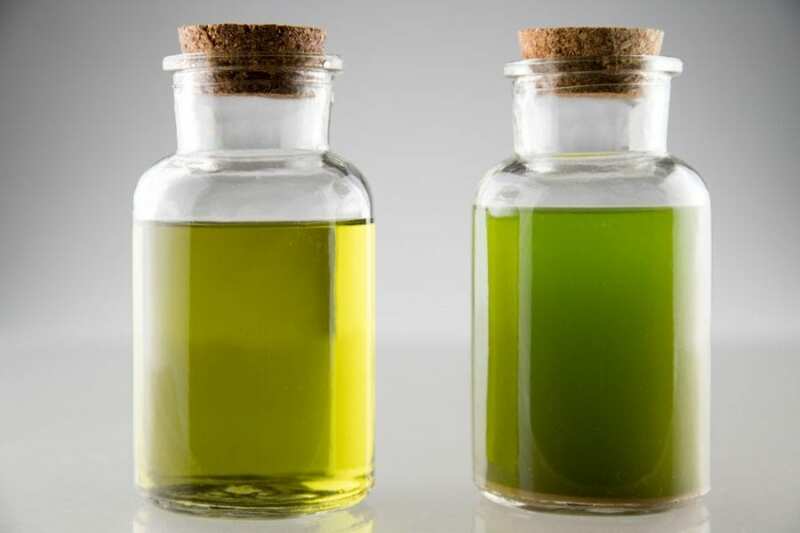 A study out of Italy found that CBD’s ability to saturate cells with oxygen-rich elements results in apoptosis in cancerous cells, which cannot live and thrive in such environments. The result of all of these functions happening simultaneously is massive. One way or another, the cannabinoids present in the body bolster the natural defences that have been shut down by cancer. This does not mean that cannabis is a cure for cancer, however. The science isn’t quite there to back up that claims. It’s important not to overreach when discussing a legitimate alternative treatment. All of this talk is mostly in the lab, experimenting on cell lines. What we know, without a doubt, is that cannabis can help fight cancer by helping shrink tumors and impeding their growth. And that’s, frankly, pretty darn impressive. It can also help patients cope with the side effects of chemotherapy and radiation.